The crazy bug hunters have been at it again. 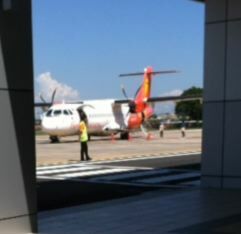 This time they took to the air courtesy a mixed bag of budget Asian airlines. They converged on the northern Malaysian city of Ipoh for a field applications worship. 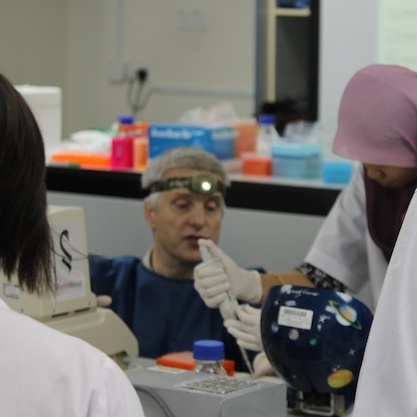 There we were welcomed by the staff of University of KL’s Royal College of Medicine Perak. In Ipoh they take their hospitality very seriously. We were sampling fresh local bread less than 24 hours after arriving. Here is a view from the top floor of their rather smart building, looking over a nearby mosque. And this is the first of our encounters with freshly made bread. It was served as an accompaniment to Moroccan lamb, tabouleh and other Arabic delicacies. 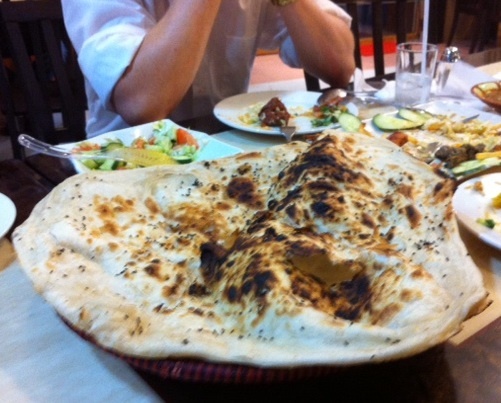 By the time we’d made it back home, the team had sampled naan, dosai, pakoras and the wonderfully calorific murtabak. Plain white bread is, well, just plain by comparison. The bug hunters did get down to some serious field work before knuckling under with their set of automatic pipettes. 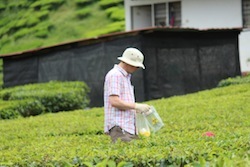 Here they are among the tea bushes in the Cameron Highlands (home of the giant strawberry, for Australian collectors of bizarre giant replicas). The last time we were in tea growing country was June this year when we deployed our field lab to Central Province, Sri Lanka. Our photographer captured the moment the yellow tops came into evidence among the bushes. 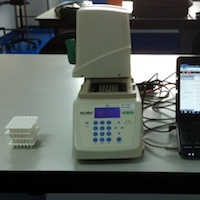 Once in the lab it was time to sweat the small stuff. That’s how we earn our crust, working systematically through a series of samples with our Lab Without Walls field portable equipment set. Here you can see a Micrognome demonstrating the use of a Mk I head as a substitute for an anglepoise lamp, while one of the workshop participants dispenses PCR reagents. And the results of our bread run? 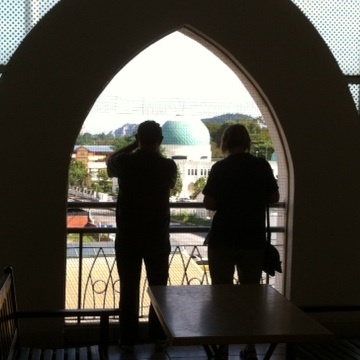 Ipoh has a great reputation for Asian food and is now a direct budget flight from Singapore.